Besides working and studying, you can also visit the US on a US visitor visa. The visitor visas allow you to travel to the US for tourism, business, or medical purposes. You can see the most famous sights in the US and even create new contacts who can invest in your business back home. B1 visa for business visitors to the USA. B2 visa for tourism to the USA. 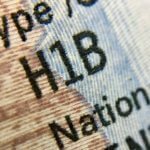 This article will go through the B2 visa, what it is, how to apply for it, and other relevant details. 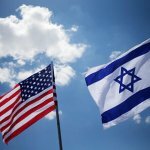 What is the B2 Visa? Have a holiday in the US. Tour various cities in the US. Participate in social events hosted by various organizations. Visit the country for medical treatments. Participate in events or contests related to music or sports, for which you will not receive payment. Enroll in short study courses for which you will not receive credit (ex. cooking classes). Become a full or part-time student. Perform and get paid for it. Work in press or journalism. Engage in any form of employment. Enter as a crewmember on an aircraft or ship. Seek permanent residence in the US. A difference between many other types of USA visas and the B2 visa is that it has no cap. This means that as long as you qualify and meet the requirements, you can get this visa to visit the US. Do I Need to Apply for a Tourist Visa USA? Only those who are not in the US Visa Waiver Program need to apply for a tourist visa to USA. If you are from a country which does not require you to apply for a visa for the US, then you are in luck. You can just follow the simple procedures of applying for an ESTA and then making your travel arrangements. If you are unsure whether you need to apply for a B2 visa, you can use the ESTA eligibility checker. That your intent for visiting is compliant with the B2 visa allowed purposes of visit. Have enough financial means to cover your stay in the US. You intend to return to your home country as soon as your visa expires and you do not intend to stay in the US. Schedule your US Tourist Visa interview. Compile your B2 Visa document file. Submit your information as well as details about your purpose of visit. You must fill in the sections for your US B2 visa and then submit it online. After you submit it, you will get a verification page and code which you need for your documents file. TravelAssist’s staff will fill in the form DS-160 to book your B2 visa appointment with the US Embassy/Consulate. They will provide you with a complete list of required documents for your B2 Visa application and will check your prepared application file to make sure your application has the highest possible prospect of success. The staff of TravelAssist will offer 24/7 online support regarding your B2 visa application. Click here to start your B-2 visa application through TravelAssist now! The application fee for the US Tourist Visa is $160. To continue with your application, you must pay this fee. Depending on your country’s relationship with the US, you might have to pay other fees too. These are called visa issuance fees and they vary from country to country. When you pay all the applicable fees, make sure to save the receipts and add them to your B2 visa documents file. All applicants between 14 and 79 years old must go through a US visa interview at the US Embassy they are applying in. To get this interview, you must schedule it through your country’s US Embassy. Due to the high workload that they have, make sure you schedule it as soon as possible. When this procedure is done, you will get an interview confirmation letter which you need to bring to the interview. The B2 visa documents file that you have includes all supporting documents to show the US Embassy that it is safe to give you the visa. You must bring all documents to your visa interview. 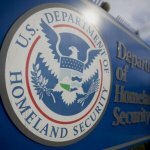 On the date of your interview, a US Embassy official will ask questions about your background and why you want to go to the US. They will go through your documents to ensure that everything is in order. The interviews do not last long but make sure to disclose all necessary information to avoid problems later on. Receipt of paid visa fees. A letter which describes the purpose of your trip. Proof of financial means. Financial or bank statements to prove you have the finances to stay in the US of at least $266 for each day of your planned stay. Ties to your home country. Family, job contract, lease, or property deed, which prove you will return. Optional US visitor visa invitation letter from friends or family in the US. Criminal records or letter from authorities stating that you do not have prior convictions. Documents relevant to your prior visits. This only applies if you visited the US before. Transcripts or diploma. This only applies to students. Photocopies of your relative’s status in the US. Letters from doctors on your diagnosis and treatment. If you are visiting for medical purposes. To increase your chances of having a successful B-2 Visa application you can use the services of TravelAssist. The experienced TravelAssist agents will carefully handle your application and offer the help you need during your B-2 Visa Application. Click here to start your B-2 visa application now! How Long is the B2 Visa Processing Time? The B2 visa may take a few weeks up to a few months to process. Processing times for B2 tourist visas and US visitor visas differ from country to country. It depends on the workload that the US Embassy where you applied has. If you do not hear from the Embassy, be patient and wait for them to inform you on whether you got the visa or not. The maximum duration of stay on a B2 visa is 6 months. During that time, you can travel throughout the US or for any other purpose. However, as soon as your visa expires, you must return to your home country. If you want to stay longer, you can get a B2 visa extension for an additional 6 months. You should apply for a B2 visa extension at least 42 days before the expiration of your I-94 card. Yet, you are not allowed to apply within three months of arrival in the US. A written statement on the reason behind the requested extension. Payment of B2 visa extension fee, which is $370. Original or photocopy of I-94 card. The B2 visa extension processing time varies on the number of applications USCIS is processing at the time of your application. 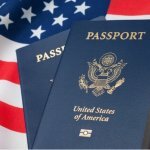 Can I Get a Green Card With a US Tourist Visa? It is very difficult to get permanent residence or a Green Card from a US Tourist Visa. This is because the B2 visa is a temporary US visa. To get the US Tourist Visa, you must prove that you will return to your home country after it expires. The B2 visa does not allow you to look for a job or start studying, so you cannot stay in the US for more than the allowed time. If you are living in the US, working or studying, you can invite your parents to visit you. They can enter the US under a B2 visa. They will need to follow all of the processes explained above in this article. The only thing that may differ a bit, are the required B2 visa documents for parents. You are responsible for collecting some of the documents for your parents. They will also need to collect some extra in their home country. Bank Verification Letter. You should present proof you are capable of financially supporting your parents while they are in the US. Employment Verification You should ask your current employer for this letter. Invitation Letter. You should write a letter to your parents inviting them to visit you in the US.